Three-quarters of the UK’s iron founding is (in 1968) carried out within a 25-mile radius of Birmingham, and of these firms three-quarters employ fewer than one hundred people (see Note 1). 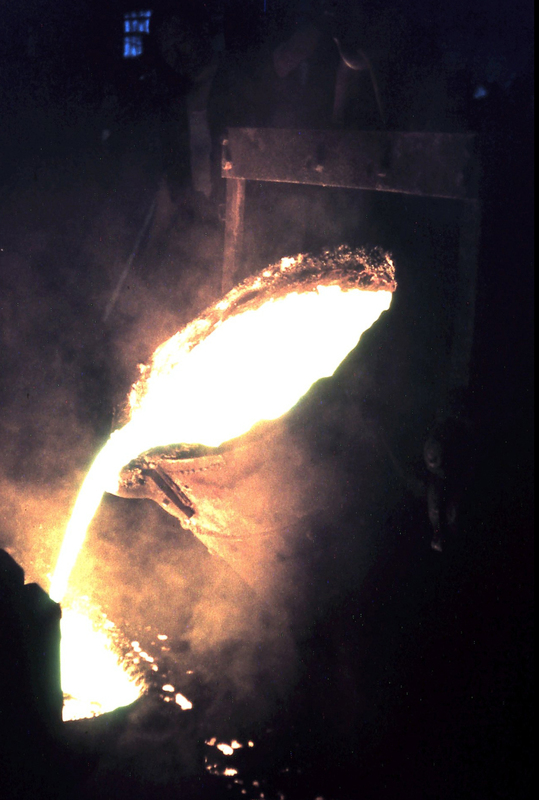 The foundry came under new ownership in 1950, when ten men were employed, and the foundry began to expand. No. 2 Foundry was built and castings in aluminium and bronze were made there. In 1959 the aluminium and bronze sections were transferred to the new No. 3 Foundry and No. 2 was given over to repetition moulding on machines, so that by 1960, 65 men were employed. 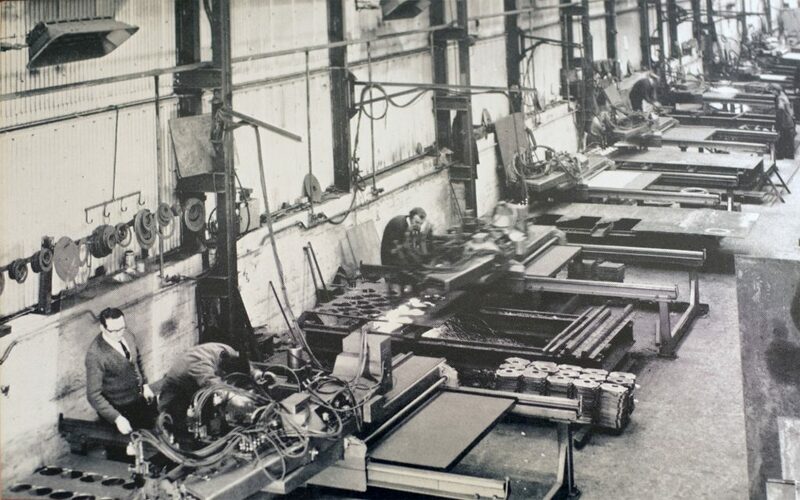 The business was taken over in October 1966 by J. Cheesewright, who introduced aluminium die-casting and developed the fibre-glass moulding department. Expansion had meanwhile continued mainly in the making of iron castings, bronze being discontinued in 1967, so that at present (in 1968), 80 men are employed in the manufacture of iron castings and 27 men in the aluminium section. The 80 men concerned with iron are divided into teams, each of which works on one aspect of iron-founding. The cupolas are operated by a skilled end experienced furnace-man and his assistant who have a small labouring gang under them. The one bench-moulder and eleven floor-moulders are skilled men. Eight machine-moulders are semi-skilled. Two women and three men are core-makers; one of the men is the charge-hand. A skilled man is responsible for the production of sand. A labouring gang carries it to moulders and core-makers. The labourers are also called on to help manoeuvre heavy moulds, transport molten iron, assist in casting, and breaking-out finished castings. A team of men dress the castings; one operates the shot-blast, two work with portable grinding wheels on large castings while four men fettle small castings on lathe-like grinders. 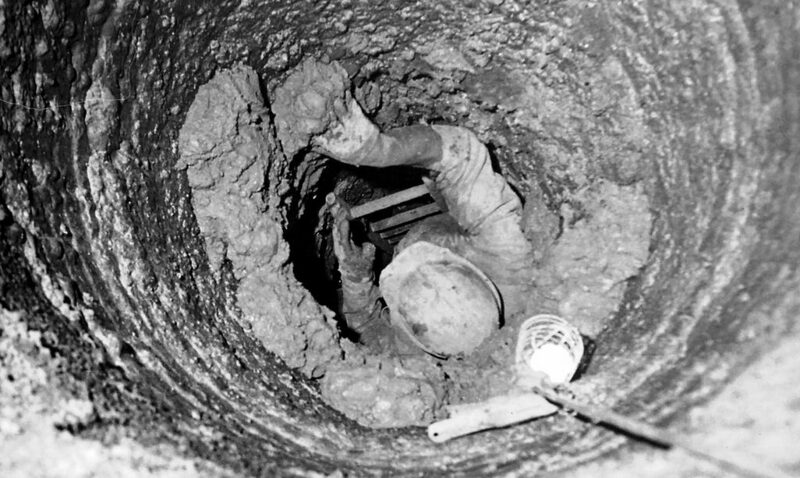 A team of labourers works a night shift, breaking out the day's castings, getting them to the Dressing Shop, clearing away used moulding sand, sorting and restacking moulding boxes, removing cupola debris, and tidying the foundry for the next day’s work. Nos. 1 & 2 Foundries each has a foreman who organises the work of that foundry. The Foundry Manager looks after the general administration and coordination of the whole iron foundry. He has to be expert in the technical aspects of iron-founding and must understand the economic situation and state of trade to ensure that the foundry operates at maximum efficiency. He is answerable only to the Managing Director. The sketch plan on Figure 1 shows the layout of the iron moulding section of the foundry. This ground-plan is schematic and is not to scale. North is to the top. Those parts of the plan labelled ‘No. 1 Foundry’, ‘old core-shop‘, ‘office‘, and ‘Dressing Shop’ represent the whole of the 1910 foundry. The main entrance to the foundry leads onto the main road running east and west. The site extends to the south (not shown on plan) where No. 3 Foundry is built. That part of the site also houses the pattern shop, maintenance shops and main offices. Note 1: Describes the situation as it was in1968. Information from M.J.W. Platt, Training Officer, South Staffordshire Foundry Training Association. Note 2: Although this particular foundry was established in the early 20th century, the area has a long history of iron-founding, going back at least to the 12th century. Memories of working at Rood End Foundry on Tat Bank Road in 1968.